Lana has become used to the prolonged stares and the sideways glances she receives while her mother drives her through town. In her community in Aqaba Governorate, few women are able to drive, and seeing a woman take the wheel and choose her own direction is somewhat of an unfamiliar and even striking concept. The way Lana sees it, this idea is not limited to driving. Already in grade 10, she has spent much of her life observing the ways in which girls and boys, women and men, are treated differently by the surrounding community. There are no double-takes when a man sits behind the wheel of a car – no hesitation when her male cousins express interest in career paths that will take them farther from home. Yet she has felt the sharp glares as her mother drives, and she knows the challenges of holding aspirations that divert from those expected of her gender. Lana had been shy throughout her childhood, even hesitating to answer questions or participate in class. But now, she has grown and begun to find her voice – and she intends to use it. 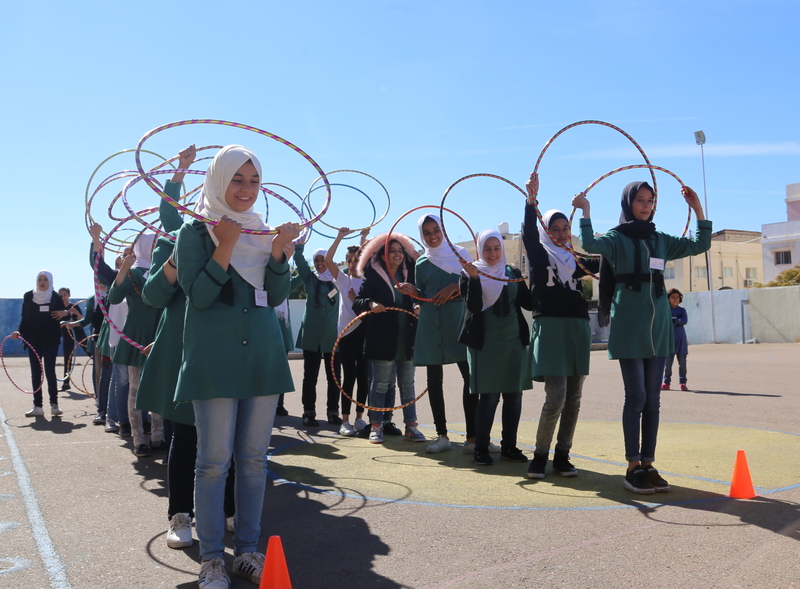 Generations For Peace partnered in 2018 with UN Women under the ‘Eid bi Eid’ Initiative – generously funded by Finland, Italy, Iceland, and France – to introduce a gender component to its implementation of the Nashatati Programme, which is led and overseen by the Ministry of Education with support from UNICEF. 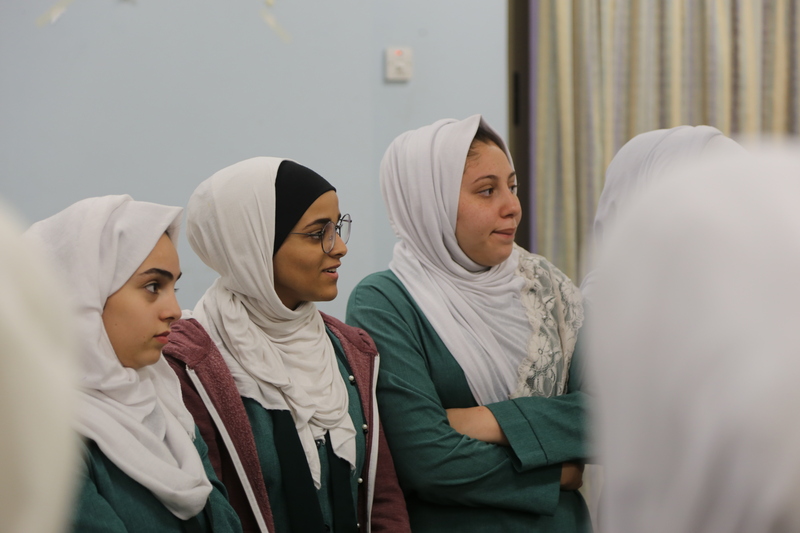 The new gender component aims to promote a greater understanding of resilience and empowerment from a gender-sensitive perspective and was introduced just months after the Nashatati Programme expanded to 200 schools across Jordan, including Lana’s. The Nashatati Programme continues to provide opportunities for youth from different backgrounds to interact through fun activities that foster life skills development and social cohesion within communities, now with additional gender-centric aspects. As Lana became more deeply involved in the Programme, which engages youth with gender-responsive activities and addresses issues of gender-based violence, girls’ empowerment, and gender equality, the honest conversations and open dialogue of the sessions empowered her to express herself and her ideas in front of her peers. She started taking every opportunity to speak in front of the group, to engage with other participants in ways she never had in the classroom, and to share her thoughts, opinions, and questions without the hesitation or fear she once felt. Slowly, she has become comfortable speaking her mind and even discussing the more difficult challenges facing her and other women, in particular, of her community. If you ask her, Lana even sees a career in conducting this sort of conversation. She explained that she wants “to work in media to discuss topics that concern our community, yet everyone avoids,” where she hopes to inspire and help empower others with the active tolerance and acceptance she has learned and felt from the Nashatati Programme in her school. As Lana looks to her future, she sees her life, interests, and goals leading her to the field of media – an unexpected and uncommon path for a woman. She has been told by many of those around her that girls are not supposed to work in fields like media where they will be seen by a wider group of people on a broader scale. But this is exactly the audience Lana wants: one in front of which she can open up topics that might be seen as taboo, but which have impacted her life directly. She wants to bring to light issues that are often viewed as sensitive, particularly those about gender and the underlying views and ideals that foster the different expectations for women and men. Lana is surrounded by positive role models in her life who have shaped the young woman she has grown to become, who have supported her in her decision to pursue this career path, and who have inspired her to use her voice to bring to light the more difficult issues facing their community and those surrounding it. Her time spent engaging with others through the activities of the Nashatati Programme have empowered her to see the influence of these strong women all around her, from their encouragement for her to pursue her passions to their perseverance to achieve their own goals, even if in something as seemingly simple as driving a car. Sign up for our e-newsletter to learn more about the impact of GFP on local communities around the globe and donate here to support our programmes in the Middle East, Africa, Asia, and Europe.